Georgia Democrats selected the first black woman to be a major party nominee for governor in the United States on Tuesday, choosing Stacey Abrams, a liberal former State House leader, who will test just how much the state’s traditionally conservative politics are shifting. 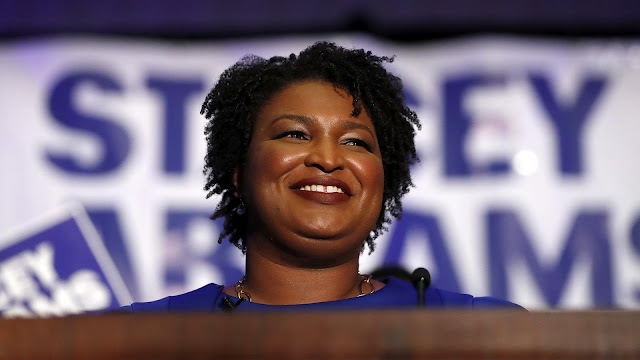 By defeating Stacey Evans, also a former state legislator, Ms. Abrams also became Georgia’s first black nominee for governor, a prize that has eluded earlier generations of African-American candidates in the state. The general election is sure to draw intense national attention as Georgia voters determine whether a black woman can win in the Deep South, a region that has not had an African-American governor since Reconstruction. Stacey Abrams rolled to victory with 76.5% of the vote to Stacey Evans 23.5%.